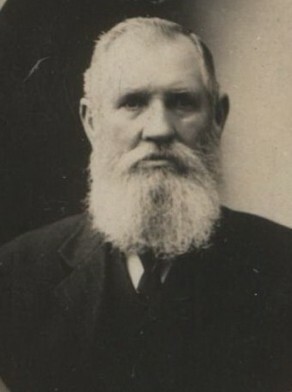 Jonah Edward Evans was born c1835, son of John Evans. He married Elizabeth Frost (1853-1935). He died on 30 April 1924 at his residence ’The Gables’ City Road, Darlington, NSW, aged 88 years and he was buried in the Old Church of England Section at Rookwood Cemetery. He died intestate and after letters of administration his estate and assets were assessed at £4,028. Jonah Edward Evans lived at 20 Pitt Street, Waterloo. Jonah Edward Evans of Valentine Lane, off Brickfield Hill, late of Lucas Buildings, engineer, was declared Insolvent in 1872. The cause of his insolvency being old debts under a partnership with a Mr Barlow. At the time his liabilities were £105 and his assets £9. Jonah Evans was the superintendent of the Redbournberry Bridge works in 1891; this bridge spans the Hunter River near Singleton. In 1898 Jonah Evans was the conductor of the Hamilton Suburban Choir in its preparation for the forthcoming Eisteddfod at Newcastle. He was a justice of the peace (JP). Jonah Edward Evans was elected in 1899 unopposed following the retirement of Alderman Greenwood. Jonah Edward Evans was an alderman on Waterloo Council in 1899-1902 and 1905-10 representing North Ward.